Finding the right storage unit size will save you a lot of time, money, and stress! 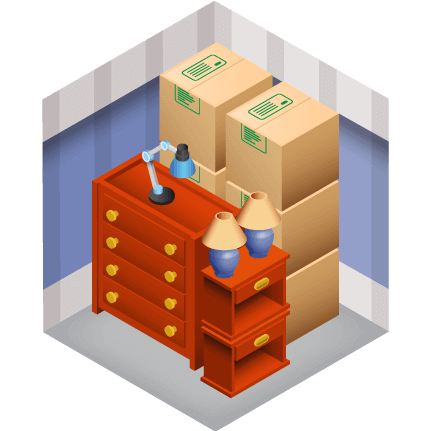 Of course, when you’re looking at storage locations, there are several things to keep in mind. We recommend considering whether the space needs to be climate-controlled, the convenience of the location, and whether you need it for short-term or long-term storage. But the exact amount of space needed is one of the most important decisions to make. 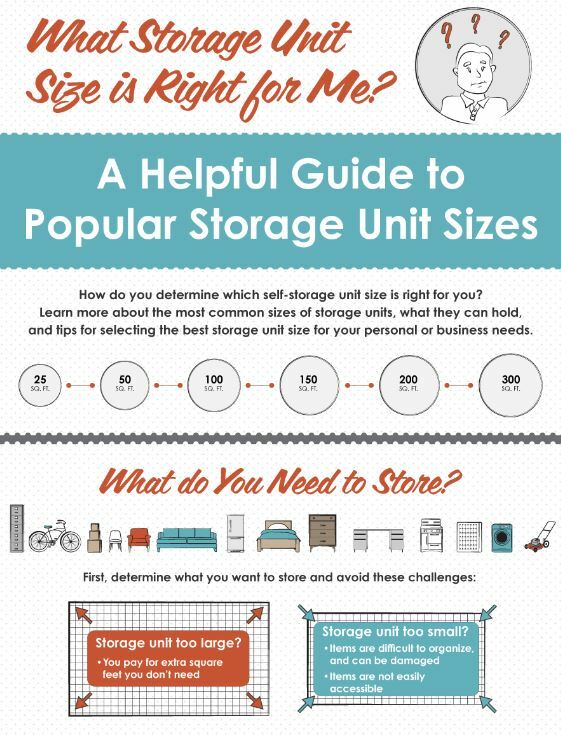 Check out these tips on how to choose the perfect storage unit size for your belongings. You’ll love the overviews on what contents specific storage unit sizes can accommodate! Check out or download our Full Infographic! 54 Medium Boxes/totes. The contents of a typical garden shed.